Camp in Comfort no Matter How Rough the Conditions! 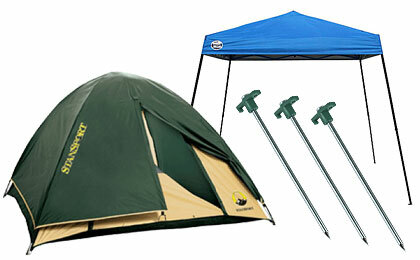 Tents, ground cloths, improvised shelters and shade are all necessary when you are out in the back country. Whether it’s and extended camping trip or a full on bugout, Fire Supply Depot can help keep you cool dry and safe while you’re out there. 10 Pack - Steel Tent Stake with Plastic ''T'' Stopper - 10.5"